In the following interview, Doug Loyd, broker/owner of Florida Executive Realty, a member of Leading Real Estate Companies of the World® (LeadingRE), in Tampa, Fla., discusses the advantages of the LeadingRE network, charitable initiatives, training and more. Best Tip for Dealing With Difficult Clients: Difficult clients may be nervous about the price, process, pace and outcome, so offer objective information that’s correct and timely, as well as a calming voice. Best Tip for Running a Successful Meeting: Treat them as regularly scheduled teaching and training opportunities. Key to Staying Profitable: Maintain a serious, ongoing focus aimed at raising revenue or lowering expenses. 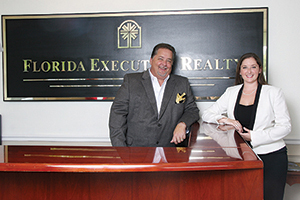 Florida Executive Realty recently established a non-profit foundation. What was the motivation behind this decision? We’ve been honoring staff members involved in charitable or humanitarian endeavors with a Humanitarian of the Year award at an annual company event for years. Those good works inspired us to establish the Florida Executive Realty HOPE Foundation in 2015, with agents we previously honored serving as directors. We selected four local non-profits and directed donations of $25,000 in our second year from agent contributions and matching company dollars. This year’s goal is $40,000, with the possible addition of a fifth beneficiary. Your company has initiated something called S.E.A.L. training. What is that all about? Our company is fully committed to excellence first and numerical growth as it naturally follows, so our teaching, training and coaching programs need to be robust enough to develop the former and effectively support the latter. As we updated, upgraded and expanded those efforts, we branded the overall initiative S.E.A.L. 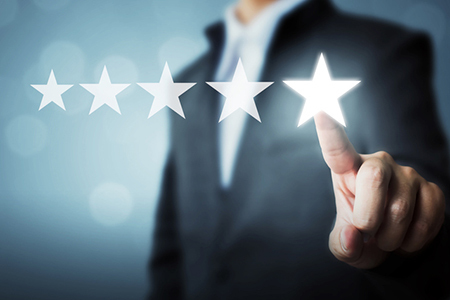 (Service, Education, Advocacy and Leadership) training, which is consistently developing better trained, more productive agents—and strong, positive feedback on post-closing surveys. Why is your new homes division so important to your overall mission? Our new homes division started in 2014 with the acquisition of a local niche brokerage focused only on new construction. By establishing this standalone division, we developed even greater cooperation with local and national builders and opened greater lines of communication between our senior managers and our featured builders. This division serves as a liaison between agents and clients, an educational resource for agents, and a relationship-builder at the on-site level. The program was honored as the “Rainmaker Lead Generation Program of the Year” in 2016 at the Leading Real Estate Companies of the World® conference and continues to generate additional sales, marketing and profit opportunities. What brought you to affiliate with LeadingRE? We joined LeadingRE (then RELO) in 1998, and the affiliation stands as a significant milestone for our company, with benefits far exceeding expectations. Our attendance at both regional and national LeadingRE events has raised our company’s profile, helped us keep abreast of industry changes, and been key to establishing personal and professional friendships across the country.